The Massachusetts Appeals Court recently considered whether it was reasonable for Boston Police officers to seize and inve ntory the contents of a defendant’s backpack that was in the backseat of an unregistered and uninsured vehicle he was operating. In the case of Commonwealth v. Nicoleau, where the car was parked in front of the defendant’s home where he lived with his grandmother, and his grandmother was present and able to take the backpack and any other personal belongings, the Boston Police had no right to seize the backpack and search its contents pursuant to a motor vehicle inventory search. The appeals court affirmed the trial court’s order suppressing the knife that was found in the backpack. The facts in this case were essentially that, while on routine patrol, Boston Police officers saw a car being drive by the defendant with a headlight out. The car’s registration and license were invalid, so the police attempted to stop the car. The defendant, however, kept driving and ultimately stopped at his house where he lived with his grandmother. Once stopped, the defendant was arrested for failure to stop for a police officer and other motor vehicle violations. In these circumstances, where the car was unregistered and uninsured and the defendant had no driver’s license, the Boston Police officers decided to have the car towed and impounded. Prior to the car being towed, however, the Boston Police searched the car, pursuant to the Boston Police Motor Vehicle Inventory Search Policy. The defendant’s grandmother was home at the time and came outside and the police gave some personal items that were in the car. The police also removed a backpack from the back seat, but instead of also handing the backpack to the grandmother, the Boston Police searched it and found knife. They additionally charged the defendant with Unlawfully Carrying a Dangerous Weapon. Prior to trial, the defendant moved to suppress the knife, arguing that the Boston Police Officers’ exceeded the authority of the motor vehicle inventory search. The motion judge agreed, ruling that the officers exceeded their own inventory police, and suppressed the knife. Agreeing with the motion judge, the Massachusetts Appeals Court explained that an inventory search is lawful under the United States Constitution and the Massachusetts Declaration of Rights only if (1) the impoundment of the car is reasonable; and (2) the subsequent search of the car is “conducted in accord with standard police written procedures”. In Massachusetts, impoundment of a car on a public way is justified by four purposes: (1) protection of the owner’s property from vandalism or theft while the vehicle remains in police custody; (2) where a vehicle, if left unattended, poses a public safety risk; (3) if the car stopped does not have valid registration plates; and (4) to protect the police and public from potentially dangerous items that might be in the vehicle. An inventory search is justified exclusively by a necessity that it is independent of any suspicion of criminal activity. 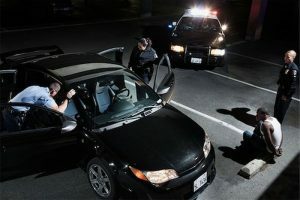 The purpose of it is to protect the car and its contents; to protect the police against unfounded charges of misappropriation of property; to protect the public from the possibility that the car might contain weapons or anything else that might be dangerous; or any combination of those or similar reasons. The defendant in this case did not dispute that the Boston Police had the authority to seize and impound his car. He acknowledged that, because he did not have a valid driver’s license and because the car was unregistered and uninsured, it could not be left on a public roadway. Rather, he argued that the subsequent inventory search was invalid and not conducted in accordance with the standard Boston Police Motor Vehicle Inventory Procedures. What made this case unique is that the Boston Police Officers exercised discretion in deciding which of the personal items found in the car would be turned over to the grandmother and which ones, i.e., the backpack, would be searched. The Appeals Court held that, as it concerned the backpack, there was no evidence prior to the search that it presented any danger to anyone or that it contained evidence of a crime. Additionally, a third party, the defendant’s grandmother, was present at the scene and willing and able to take possession of his belongings; and the police did, in fact, provide her with other belongings of the defendant. Because the police made the decision to turn over some personal property that was in the car to the grandmother, they then did not have the discretion to seize and inventory the backpack that contained the knife because it could also have been provided to the grandmother. This case, believe it or not, presents a bit of a unique circumstance in the sense that a third party was present to take possession of the defendant’s belongings. In most cases of this nature, the vehicle stop occurs on a public way; the defendant is alone; and if not alone; all parties are arrested. Had this defendant been stopped elsewhere or if his grandmother was not home, the Boston Police officers here would have inevitably inventoried the backpack and legally searched it. Boston Criminal Lawyer Lefteris K. Travayiakis.